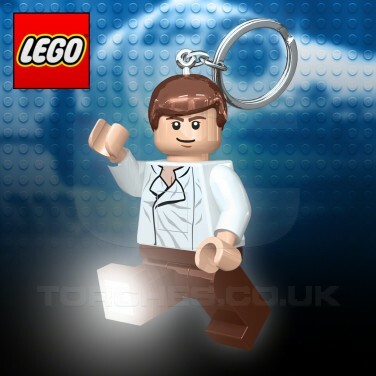 Star Wars hero Han Solo becomes a Lego mini figure that's lit with bright white LEDs to guide you way in the dark! At 8cm tall, Han Solo is just the right size to pop on your keys or bags so that you've always got access to light, and with poseable arms and legs, you can direct the light too. Simply press and hold the button on his tummy and Han Solo's feet will light up to guide you in the dark.